After the horrific May 22 terrorist attack at a pop concert in Manchester packed with teenagers and pre-teens, it is only natural to ponder exactly how terrorism-proof are America’s and other nation’s entertainment venues? How safe do you feel going to a concert at a popular venue? After Manchester, some people, in all likelihood, are going to think twice about purchasing those tickets for their favorite band or baseball team. Multi-purpose indoor arenas—such as Madison Square Garden in New York City or the O2 Arena in London—have this in common: They have the ability to accommodate large crowds and have fixed and rigid entry/exit points. In today’s world, these venues, regrettably, make for ideal terrorism targets, as was the case in the cold-blooded attack at the Manchester arena. Not unlike Madison Square Garden, the Manchester arena has hosted some of the biggest names in live entertainment, including: U2, The Rolling Stones, Lady Gaga, Madonna, and Pavarotti. What happened at the Ariana Grande concert? Fans were exuberant after the songstress completed her performance. Then at the end of the concert, a suicide bomber detonated an improvised explosive device packed with nails and other metal objects. Seven children were among the 22 people who were killed. Fifty-two people were treated at the hospital, including 19 in critical care. In contrast to the 2015 Bataclan attack in Paris, where 90 individuals lost their lives during the “Eagles of Death Metal” performance, the Manchester bombing took place just outside one of the exits as crowds were streaming out of the 21,000-capacity arena. How and why was the Manchester arena targeted? Only the suicide bomber’s network has the answers as to the “why” at this point. British Interior Minister Amber Rudd recently announced that the authorities have arrested a large part of the network behind the bombing. However, it is likely that there are still members of the group at large. How many months of planning went into plotting this heinous attack on the Manchester concert locale, which has the highest seating capacity of any indoor venue in the UK? It is also the second largest in the EU and also puts on sporting events such as boxing and swimming. Security at Madison Square Garden? Is security at the popular Madison Square Garden arena, also known as “The Garden,” ready to repel any potential terrorist attacks? What sort of intelligence sharing is going on at the moment? NYPD officials have recently been in touch with law enforcement in Manchester. 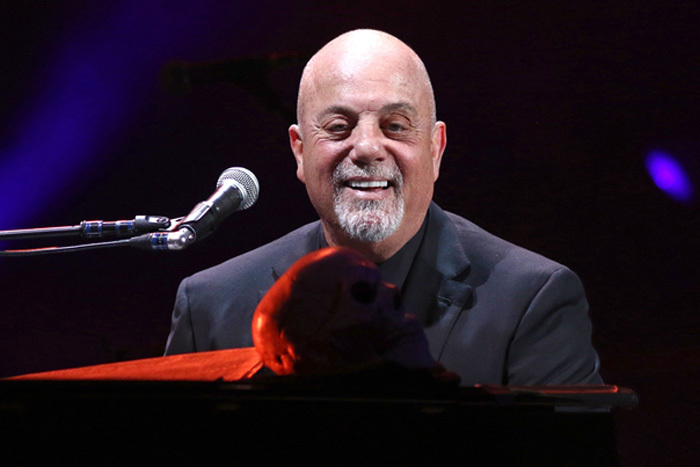 In light of the Manchester bombing, on the day of Billy Joel’s May 25 performance in New York City, concert-goers were asked to arrive early because of “increased security.” This included the presence of the NYPD, New York State police, Amtrak Police, Metropolitan Transportation Authority Police, counter-terrorism officers, Department of Homeland Security officials, and explosive detection dogs. Clearly, lessons were learned from Manchester. But, will enhanced security at the upcoming Billy Joel concerts on June 6 and July 5 be enough to keep the fans of the “Piano Man” safe? 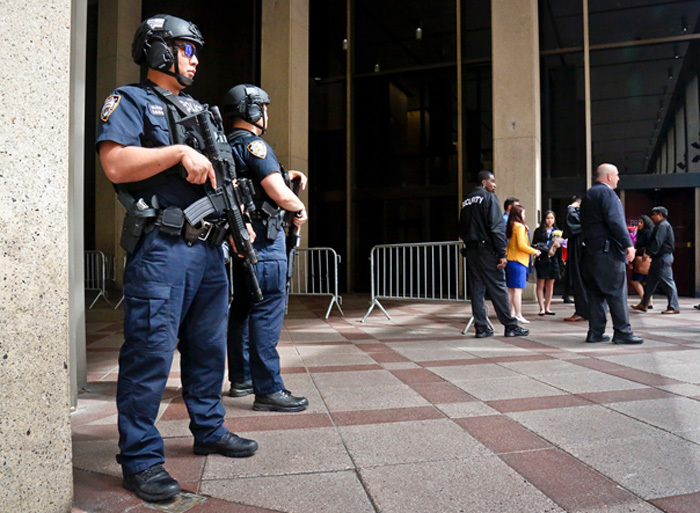 Could the potential terrorists—lone wolves or those belonging to an organization—be one step ahead of the game? This New York establishment can hold 20,000 spectators. In addition to being a world-renowned stop for musicians, Madison Square Garden is home to the NBA’s New York Knicks and the NHL’s New York Rangers. Is there such a thing as absolute security at arenas? Security varies from venue to venue. Some locations have added turnstiles to the entrances to better control the flow of people. However, not every arena conducts thorough pat-downs on every single person at every concert. Are bag checks done 100 percent of the time? No. Some arenas have banned bags that are larger than the size of a notebook. But how practical is it, for example, to check individual bags at the largest arena in the world—the Philippine Arena in Bocaue, Philippines—with a capacity of 52,000 people? Can attacks on venues like the Manchester arena be prevented in the future? Although there have been major advancements in counter-terrorism since 9/11, the Manchester bombing demonstrates just how difficult it is to “defend” large venues. So, how can concerts, sports events, shopping centers, places of worship, airport terminals, and other locations where large numbers of people congregate—often in crowded, contained spaces—be made more terrorism-proof? How has the “modern-day” terrorist evolved? How do you safeguard the area around the venue? Areas outside the perimeter will continue to remain a concern, points out Cobb-Smith, adding that in any venue where the public gathers, there will be physical and intelligence vulnerabilities. Who was the Manchester attacker and the Libyan connection? Manchester is home to the UK’s largest Libyan community. Born in Manchester to Libyan parents in 1994, BBC’s Newsnight reported that when Salman Abedi was 16-years-old, it is believed that he fought against the Colonel Gaddafi regime with his father during school holidays. He is alleged to have traveled to Syria as well. MI5, the UK’s domestic counter-intelligence and security agency is conducting an inquiry into the way it dealt with warnings from the public that Salman Abedi was a potential threat. 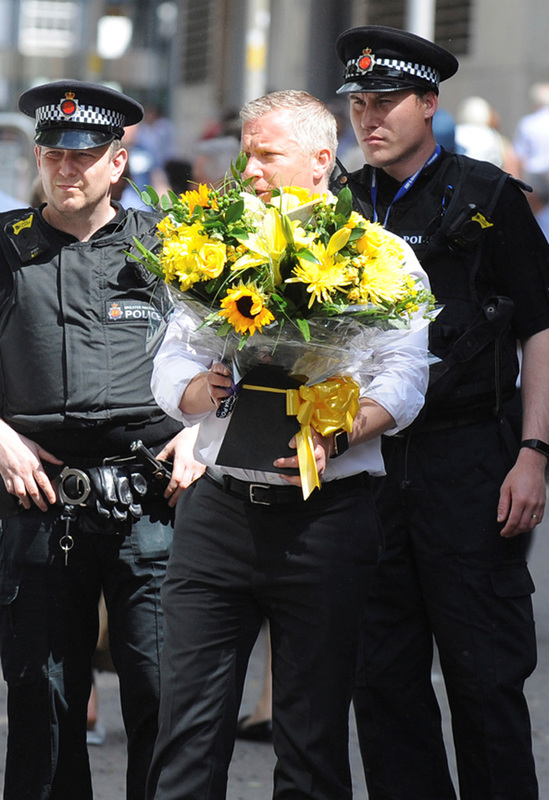 Is the UK facing its biggest terrorism threat in history? The strike on Manchester is the deadliest bomb attack in Britain since July 2005, when four British-born suicide bombers, motivated by Al-Qaeda, attacked London’s transport system, killing 52 people and wounding 700. It was also the UK’s second terror attack in two months. On March 22, on Westminster Bridge and at the Palace of Westminster, 52-year-old Briton Khalid Masood drove a vehicle into pedestrians and then crashed into the palace’s perimeter fence. The attacker then got out of the car, stabbed a police officer, and tried to enter the building. There were six fatalities, including one police officer and the perpetrator. Around 50 others were injured, some of them severely. Numerous terror plots have been foiled since suicide bombers infamously struck London in 2005. There have been plots to kill Queen Elizabeth, Prince Charles, and other members of the Royal Family. And there have been attempts to blow up the London Stock Exchange, embassies, bring down airliners, and cause maximum disruption at Heathrow Airport. The general public does not know exactly how many plots have been stopped in the UK in the past couple of years. However, there has been a change in the plots and the targets. There is also the worrying trend of lone-wolf attacks. According to a recent announcement by UK Interior Minister Amber Rudd, the security forces were looking at 500 different potential plots, involving 3,000 individuals on the “top” hit list, with 20,000 beneath that. Young people are most vulnerable to terrorist radicalization, and greater efforts should be made to prevent youth from being misled by violent extremists.